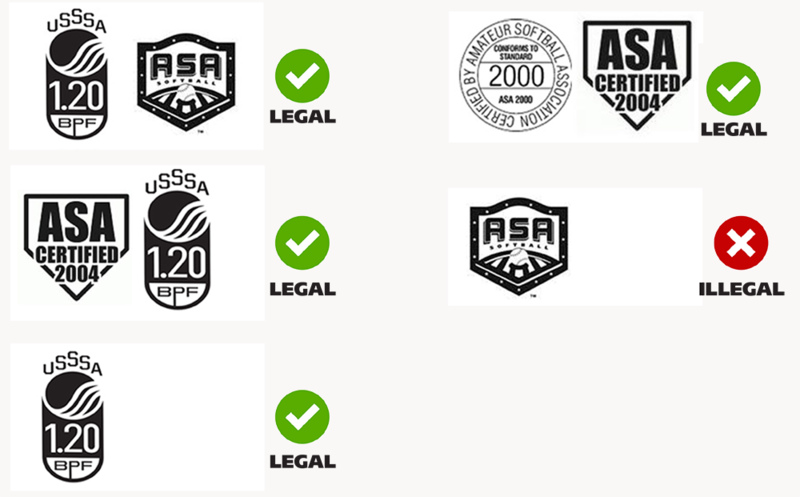 In 2011 the St. Albert Men's Slowpitch Association implemented a bat certification process. The Association has purchased bat compression testing equipment, and will be using it to certify bats for use during league play. Bats that fail the compression testing, or that have not been certified, will be ineligible for use during league play. Bat Testing Process - Compression Test Methodology. All teams will be assigned a date & time for bat testing, and teams must present their bats for testing at their assigned time. Each member team may have one or two representatives in attendance during the testing process. Bats that pass will have a label placed on the bat above the handle to indicate worthiness for SAMSPA play. Bats that fail will not be eligible for use in SAMSPA play. Bats that have not been tested and certified for use are not eligible for play. PLEASE DO NOT BE LATE FOR YOUR ASSIGNED TIME! Bats will not be tested on demand by any members of the League Executive or by the Field Manager. BATS THAT HAVE NOT BEEN TESTED AND DO NOT BARE THE CURRENT SEASON CERTIFICATION STICKER WILL NOT BE ELIGIBLE FOR LEAGUE PLAY. Anyone caught using a bat that is not certified and tested will be subject to ejection and/or suspension.